I have to admit to being something of a candle-hoarder. I’ve got a box of them tucked away at the back of my closet, and I just work my way through them. 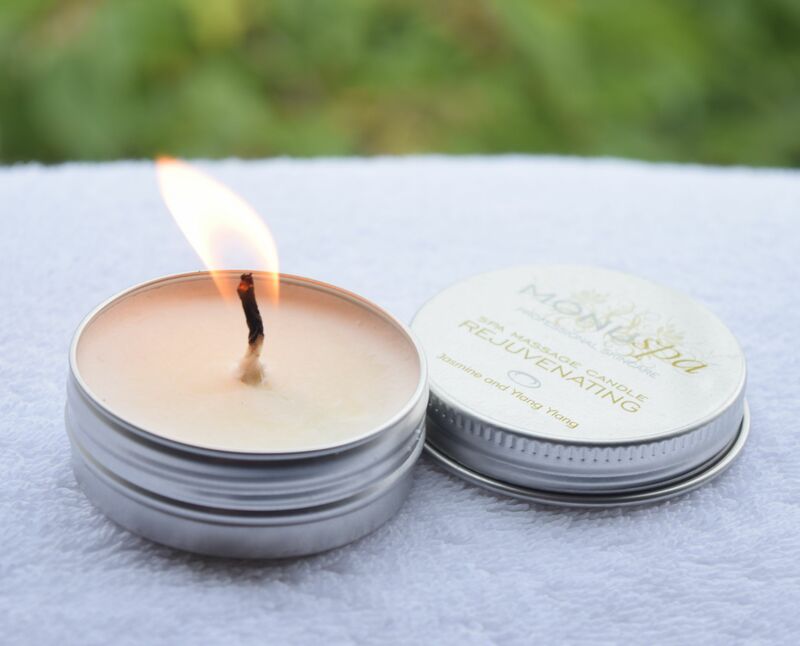 Something I’ve never tried though, despite my rather numerous collection is a Massage Candle, so when this little Monu beauty appeared, I was rather intrigued! 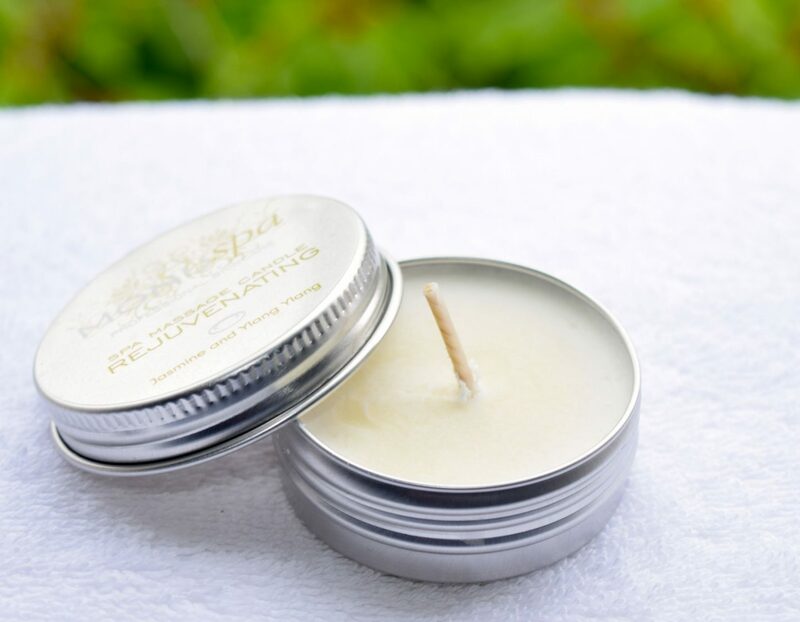 Packaged in a handy little tin, all you have to do is light the candle like normal, then wait 10-15 minutes as the wax melts into a gloriously rich massage oil. Once you have enough, you just blow out the flame, and carefully pour into your hands, or onto the area you want to massage. I love how simple yet effective the premise is, and since the oil has been freshly melted, it’s wonderfully warm, which makes your massage feel perfectly spa like (and your muscles will thank you!). I received the Rejuvenating fragrance which is a glorious blend of jasmine and yang-ylang. 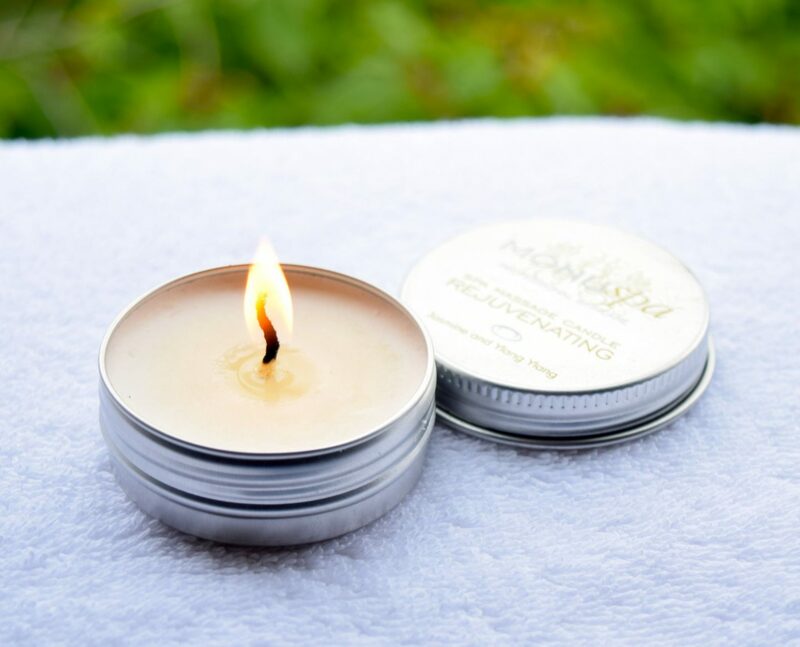 I love the subtle scent which intensifies with the heat of the flame, and one enough oil has melted, not only do I have a perfect massage oil, but the whole room smells heavenly too! 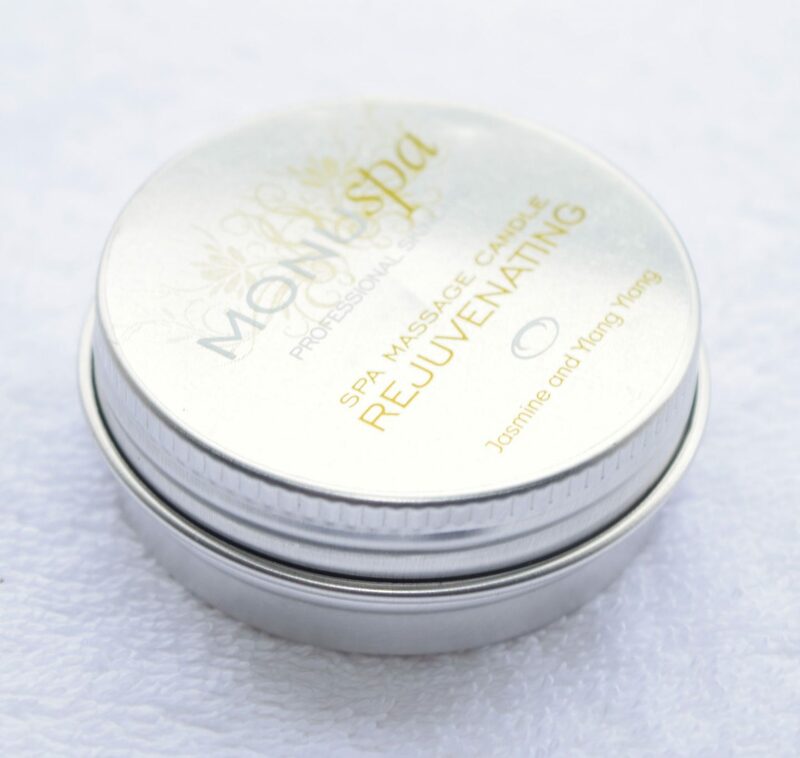 As if the scent wasn’t glorious enough, Monu have enriched the formula with Vitamin E, which makes it perfect if you’re giving yourself an at-home mani or pedi. One little trick I like to do, is give myself something of a cheat’s paraffin manicure. Once enough oil has melted, I blow out the flame then dip my fingertips into the oil. Then I work the oil into my cuticles, dip them back in then sit back and let the formula harden slightly. The heat really works the oil deep into my skin, and I can just flake off whatever is excess. My hands always feel so soft after doing it!